Stay in the loop with Venturing news. Click here to be added to the GEC Venturing communications list. 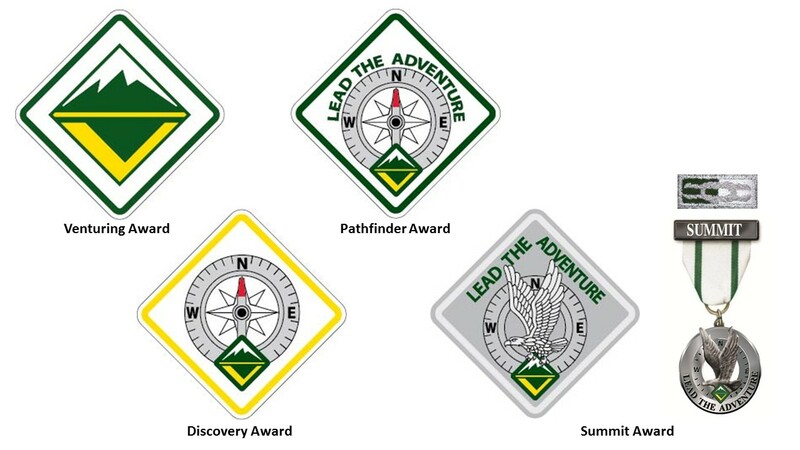 Venturing's new award system consists of the Venturing, Discovery, Pathfinder, and Summit Awards. Each award is centered around the "ALPS" model of adventure, leadership, personal growth, and service. For a full list of advancement award requirements, click here. 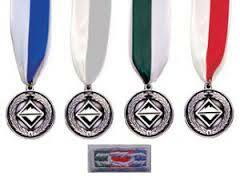 A variety of awards are available to Venturers who accomplish specific achievements. For example, these include the Venturing Ranger Award, the Quest Awards, the TRUST Award. For a complete list of Venturing Achievement Awards and requirements, click here. This is an award for adults who, at a unit level, show outstanding leadership and dedication to the venturing program. They are the mentors and the guides to those in their crews, and encompass the values that the Venturing program attempts to instill in its youth participants. Nominations may be made only by youth venturing members. The recognition items include a certificate and a medallion suspended from a green and white ribbon. The Venturing Leadership Award (VLA) is a national level award presented by councils, areas, regions, and national, to Venturing youth and adults who have made exceptional contributions to Venturing and who exemplify the Venturing Code and Venturing Oath. A council may award a VLAs depending on the number of Venturing Crews in the Council. 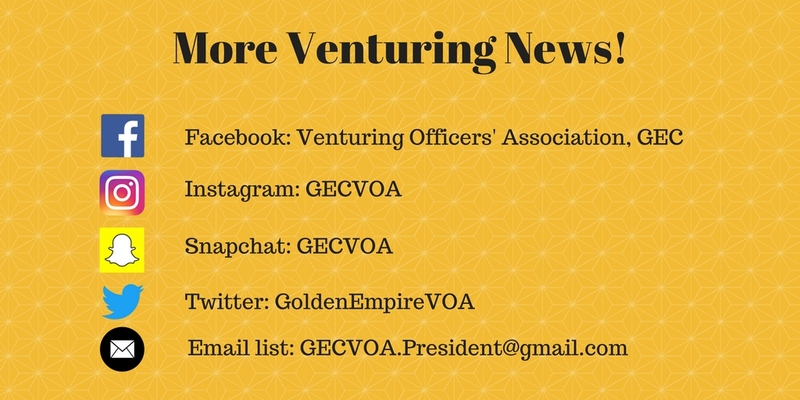 Venturing youth will represent at least 50% of the VLAs awarded by the Golden Empire Council's VOA each year. The recognition items include a certificate, medallion suspended from a blue and white ribbon, and a knot to be worn on the field uniform. Nominations may be made for youth and adults by youth and adults. Applications can be found on the Venturing Resources page, click here. Please email gecvoa.vpadm1n@gmail.com if you are a recipient and do not see your name.